Since this is one of the biggest searches currently going on in the investment world, I thought to make it easy for my readers to decide where to buy Bitcoin and other Crypto Currencies in Canada. Make sure you have read through at least 5-10 different articles around what Blockchain (the technology behind all these cryptos) is. What is the vision and goal behind creating this technology. Make sure you have been following price charts for the currency you are looking to invest in. Understand those price charts and invest at the dips; not when everyone is buying and price is soaring like crazy. Coinbase (< click the link): Coinbase is a perfect place for beginners to start, the fees are a little high, but they have convenient funding options and you can fund your accounts even using Credit Cards. On Coinbase you can buy BTC, ETH, and LTC. Coinsquare (<click the link): Coinsquare is a Canadian base exchange where you can buy Bitcoin and many other crypto and fiat currencies. They also have convenient funding options e.g. Interac Online, Wire etc. Their fees are also in the mid to high range, but this is a good place once you have bought bitcoins (or other crypto currencies, for that matter) to sell among other users. Their volume is low, though. Again, make sure to invest wise and invest with extra money! Please share this post for other users to know. How to earn Aeroplan Miles faster? Being a business traveler and an Aeroplan member, I've been able to discover few tips and tricks to earn Aeroplan Miles faster and wanted to share them with my audience. The best and, of course, the most usual way of earning Aeroplan miles faster is through booking your travel with Air Canada. The more you travel with Air Canada the more miles you earn. When you achieve different Aeroplan statuses e.g. Silver, Black and Diamond, the number of miles you receive (and the additional bonus miles) increases dramatically. Travelling with Air Canada and being a member of the Altitude program also adds considerably to the number of miles you earn. The trick here is, when you travel with any other Star Alliance members (and not just Air Canada), you also get to earn Aeroplan miles on different booking categories, depending on your Aeroplan/Altitutde status. Many hotel club programs allow you to accumulate their respective points. Cool thing here is, you can convert your hotel club points to Aeroplan Miles. Starwood Properties hotel club plan, SPG, usually has a very good conversion rate. There are many credit cards available in the market that give you double the Aeroplan miles PLUS an additional sign up bonus which is usually very good. I am not a big fan of keeping too many credit cards as I always pay my card in full. But it would be good to have a credit card that offers low annual fee and still pays you well in terms of Aeroplan miles. This is your one stop shop for all the Aeroplan promotions where you can take advantage of the additional miles you can earn. I have been able to take advantage of many cool promotions and have been able to put my points accumulation on a fast track. Aeroplan Estore is an excellent place you can earn miles from making purchases at different online retailers. It includes numerous famous retailers, such as Hudson's Bay, Sephora, Banana Republic etc. Please post here in comments if you think of any other nicer way to earn Aeroplan miles faster. A lot has been written on this topic already and different people, based on their experiences, knowledge and observations, have suggested different ways to avoid interest. I will also try and explain this with an effort to make it more understandable for a common reader. Before I start enlisting ways of how a regular person can try and avoid interest, let’s first talk a little about why we need to avoid interest and what implications this has on our daily and financial lives. As per the definition of Interest from different sources and combining it into one, easily understandable one, “it is a claim on your money from someone else who you had borrowed a certain amount from, had a mortgage from, bought a car etc.”. So when we, let’s say, buy a car from a dealer and get it financed from a bank or a car financing company, we agree that we will pay over and above the stated value of that car if we had bought this on cash. What it means is that we are paying extra for that car, and similarly, we pay extra for our house that we bought on mortgage, we pay extra for goods we purchase on credit card and then don’t pay them within the time period to avoid interest. So technically, in order to buy stuff that we can’t actually afford right now, we agree to pay interest. Thus we add a certain amount to our monthly expenses in terms of interest. If a normal person’s salary, for example, is $100 and he pays 5-10% interest, the net salary becomes $90-$95. That person has to then manage his/her expenses from a lowered salary. If someone is only making a minimum payment (that has a huge portion of interest and a very small portion of principal amount) this keeps piling up. Longer you are into paying interest, more you are affecting your actual net worth. Of course, being in debt is never a good feeling and you are under continuous burden of paying it back. Plus, the same money that you can use somewhere else, you are giving it to another party just because you could not control your expenses in the past. Credits Cards are one of the biggest inventions of the modern finance world that have generated these big institutions huge sums of money. Buy Now-Pay Later has cursed so many families and individuals. I have seen individuals with a salary of not more than $1000 and they are spending double of their income almost every month, just because ‘they think’ they can afford it. NO!!! It’s not your money, it’s someone else’s money you are using and those people would not give it to you for free. It’s a consumerism trap. How comfortable would someone feel if they have to go through the shame of borrowing money from other people directly and use the same money to buy new cars, purchase new models of phones etc.!!! So yes, that’s not your money. It’s a ‘CREDIT’ card. - Find out what your statement generation date is. All the purchases made after the statement generation date will give you a certain time period i.e. normally 21 days, to make payment and you won’t be charged interest. But you need to make sure you have cleared your last month’s balances. - Start with paying the higher interest credit cards. - Always pay more than minimum. - Borrow from someone who won’t charge you interest and pay off your credit cards. - Make a payment plan for yourself to clear off all your credit card loans. You can create an excel sheet for this. Since most of the credit cards charge very high interest, so paying off credit card loans is the first thing you should take care of. I know it seems to be an easy solution to apply for a mortgage, get the house you want and then pay for that for the rest of your life. I am sure not many think that how much we are losing in terms of interest we pay for the mortgage. Let’s say you have agreed to pay 3% annual interest on your mortgage (It’s usually more), if you are to pay this for 25 years the total interest you will be paying is 75%. This means if the value of your house becomes double in 20-25 years, you have only gained 25%. When you compare this the increase in inflation over that period of time, you have gained nothing. My recommended solution to this is, rent low for a period of time, invest your money into stocks, commodities and even if you are earning 4-5% annually, you will be in a position to buy yourself a house sooner than mortgage (yes, unless you fully pay off, the house is only partially yours and you lose it if you can’t make mortgage payments for any reason). It’s intimidating to buy a new car, especially when you can buy it so ‘easily’ by someone else’s money. Only if that someone else does not charge you interest! But this does not happen in real world. It’s better to save some money and buy yourself a used car that is good enough for you. I look at this from another angle. You can buy a reasonable used car with $ 10,000 but for that you will have to wait a while to save some money. Tough to wait, but worth it. On the other hand, you can buy a new car right away, easy? Yes! But how much it costs? Let’s say it costs you $30,000 in total. Which means it will eat away $20,000 extra from your next few year’s earnings, the money you could have spent on something more important you or invested somewhere and earn something out of it. So make the right choice and save your future earnings. There are many online applications available that you can download to your mobile and keep a record of all your expenses and income. You can even use Excel sheets. This will ensure you are keeping a track of what you are spending more and can cut on those expenses. This will also give you a realization that credit card is not part of your income. It’s a credit that will be a source of future cash outlays. Every month save some money towards emergency fund. Build it up as much as you can. Most of the time people use credit cards or other credit lines is because of a situation they had not thought about. Add a reasonable portion to your emergency fund every month. Savings = Income – Expenses, Right? Yes, there are times when your expenses increase momentarily, or even permanently for different reasons. From the above equation, if your expenses have increased you should not look at using credit cards or other credit options because that will ultimately cause a further increase in expenses in the form of interest. Increase your income by working part time. In the end, if you have realized that you need to get rid of interest, that’s the first biggest step towards the betterment of your financial situation. You will be able to spend a more relaxed life and will have more control on it. There is so much material available online and offline on how to invest in stock. Mostly, this is too technical for a normal reader to understand. I've done a research on and found some very useful resources that can help you understand stock investments; including some of the best strategies to perform well in the stock market. There is an excellent course available online which, I believe, is one of the best in the market i.e. HOW TO BEAT WALL STREET. The course includes some of the best strategies to perform well in the stock market. It explains, in detail, the technical analysis systems, how you can optimize your risk levels and so much more. One of the things I love most about this course is, it takes you from the very scratch of understanding technical concepts of trading to becoming an expert and forming a strategy of your own for trading. Thus, the course is good for both, beginners and experts. Before you start this course, I recommend to understand basic concepts of Savings and Investments from my previous blog. If you are busy enough and don't have time to go through the course, or find it hard to understand trading terminologies, it's best to go to an relationship manager from your bank or find a broker i.e. people who invest in the stock market on your behalf, that you can rely on. A good bit of research is recommended before you select a broker or want to reach out to your relationship manager from the bank. There is a wise saying "Don't put all your eggs in one basket" very routinely used in the investment world. When you are investing in stock yourself or someone else is doing this for you, make sure you have diversified the risk properly. Always look for a good combination of stocks or Mutual funds that meet your risk taking capacity. Moreover, make sure what your goal is from investing i.e. Are you looking for capital gains? Do you need a second income stream? Or you are saving for a long term future cash outlay e.g. paying for your kid's university, planning to buy a house etc. Make sure you thoroughly talk about these requirements to your investment manager/broker. I've always been a huge advocate of avoiding Riba(Interest), either earning or paying. There are definite financial, social and religious reasons for this and we, as Muslims, are aware of them. There has always been a concern among the Muslim community in Canada of where they should put their extra money in terms of Savings or Investments, earn money from that or atleast hedge against the Inflation and other factors. Based on my knowledge and experience (Allah knows best), I was able to dart down the following investment opportunities available in the Canadian market. But before I can list down all the available options, I want you all to have a basic understanding of Savings and Investments. (<<< Please click the link). Gold and Silver have historically been the best source of securing your wealth over a long period of time. From my research of historical Gold prices, they have tripled in last 20 years. Silver is not far behind. Rather, silver has outperformed gold if we take different time ranges. So let's say you are not someone who has huge sums of money and can make big investments, investing in gold or silver is definitely an option for you. This is purely a halal investment and if you are looking to invest for a longer period of time, let's say saving money for your child's education, investing a couple of hundred dollars a month should not be difficult. This way you are preserving your wealth and, in the meantime, saving money for your child's education. You can buy gold from banks or can even purchase from an accredited gold dealer in Canada. There are other commodities you can invest in but for a domestic investor it would be hard to store those commodities over a long period of time. 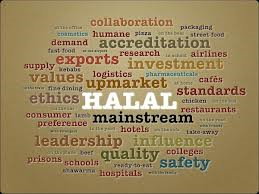 Basic reasoning as to why stocks are halal investments is as investors you will be rewarded with profits of the company and will also to have bear losses, if any. There are different types of stocks you can invest in based on your investment horizon i.e. time period you want to invest for and the amount of risk you can handle. Moreover, it also matters what kind of income stream you have in mind i.e. do you want regular dividend payments or you are more interested in Capital Gains (IPO's i.e. companies that are recently launching their stocks into the stock market, are best for Capital Gains). The list provided above is just an example and is not extensive. As a normal person who does not have much knowledge about how to invest in stocks in Canadian Stock markets, best thing is to reach out to someone who knows. They may be your relationship managers at the bank, a Muslim scholar who has finance knowledge as well and knows financial markets or contact brokerage companies. You will need to make sure you have explained to them in detail the criteria for your investments i.e. type of companies you are looking into. Some banks such as RBC Royal Bank give you an online account that you can use trade stocks online. For this you need to have reasonable knowledge of how stocks work and how to analyse an investment opportunity. If you have enough spare cash that you have saved over a period of time and looking to invest in halal options, property and land present another option for you. People do engage into buying houses through mortgage and increase their asset base, but that is definitely not a halal option. So, if you are someone who likes to avoid interest, you should not go into buying houses through mortgage. You have enough money to buy a house. In this case you should be on the look for best investment opportunities in terms of property and land. I've seen people usualy invest more into buying houses than buying land in Canada. This is not a bad option and is more secure. But investing in Land around the areas that have potential in terms of future growth and have developmental projects in the pipeline is something that can generate higher returns for you. You don't have enough money to buy a house in Canada. In this scenario, since almost all of us are immigrants here, there is always an opportunity available in your country of origin. You can invest in smaller properties there and once you have collected enough money, you can bring it back here (if your goals is to own property in Canada). A large number of Muslim business men/women want to start their new projects, they have good ideas but do not have the money to invest. You can find these people in your community or social networks and discuss about their ideas. If you have the financial knowledge, try and analyse their ideas, both in terms of practicality and future revenues. If you don't have the knowledge, have them create a business plan and then present that business plan to an investment advisor. You can also create a pool of money with your friends, acquaintances and start a business that you normally can't afford. Investing in new projects i.e. businesses, is riskier than investing into an already running business but if weighed and measured properly and work hard on, can generate much better returns. In the end, my knowledge is limited and above mentioned options are just suggestions, but I am hopeful they can give you an idea about investing halal and saving yourself from the curse of Riba(Interest). I'd be more than pleased to help with any of the above. We all know, especialy the people of Alberta, that oil prices have hit record lows and are bound to go further down for the next few months atleast. Many would have considered investing in oil stocks to reap higher returns at a later stage. That is not a bad idea at all and is definitely something investors should consider. BUT... here's another question. What sector of oil and gas we should invest in. To me, we need to look at this from another angle and rephrase the question as , "What sector of Oil and Gas has been affected the most". We know services companies, such as drilling, have been affected the most. Now let's relate this answer to our previous question i.e. what sector of oil and gas we should invest in?. Answer is Service companies. Since service companies have been hit badly so the stock prices must be at the lowest, and we could wait few more months to get the best buying rates on stocks. Lower the cost higher the return, we all know that rule, don't we! Another logical reason is, whenever oil and gas industry is hit with low market pricing, the first thing that stops is drilling. Vice versa i.e. As soon as Oil and Gas prices start to go up, first thing that starts is drilling again. So no matter how the market may respond to expected higher prices at a later date, drilling comapnies will start operating and will start making money, hence higher stock prices. Since, I am myself a risk averse investor and like to play it safe, I'd recommend to save some money for the 'bad times' that may come because of the worsening market conditions of oil and gas, which ultimately affect every other industry, and then invest the rest on oil stocks or any other investments you may find interest in. Countries with emerging markets, possessing a high GDP growth rate and expect to experience the same in foreseeable future, can introduce a stock directly linked to the GDP growth rate. Countries like Brazil, India, China, Qatar, Paraguay can directly create a link between a certain percentage of GDP growth with the stock index value. This will make the said stock more predictable and a direct representation of the country's economy. Reasoning behind this idea is, I was wondering if, instead of investing in Chinese markets or any other business opportunities there, I could invest in something that is directly linked with the growth of Chinese economy. Idea might seem strange and opposing to the current orthodox ways of setting different stock indices--having indirect links with phenomenon such as GDP, Inflation, Dollar Value--- But not directly linked stock. But as a country, the concern is to bring in investments, orthodox or un-orthodox is not the question to be asked. This approach can be, specifically, used by countries like India, Brazil, Qatar, United Arab Emirates, whose GDP's are on the rise, and they are expecting growth in the foreseen future. There are so many investors who are inclined to invest in such countries but find it difficult to look for 'real' earning opportunities. These investors, including myself, would feel more secure in investing a country backed stock---Yes! a Country Backed Stock!! This way investors can get much secured returns on their investments, and can predict the returns in a better way than investing in any corporation of that country. On the other hands these countries will have huge investments flowing in and this, in turn, again increase their GDPs if these investments are used properly. Stocks may be linked with GDP itself, or GDP growth rate, but all technicalities once taken well care of, this NEW STOCK INDEX can generate greater returns for the good of both investors and the growing countries.